MIN are 3-9 ATS in their last 12 vs. NBA Southwest. MIN are 7-18 ATS in their last 25 road games. 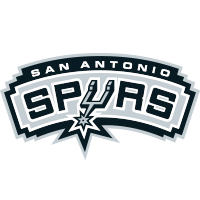 SA are 10-2 ATS in their last 12 home games. Over is 8-2 in SA last 10 vs. NBA Northwest. Under is 9-4 in SA last 13 home games. MIN are 4-10 ATS in the last 14 meetings. Justin Patton C Out indefinitely - Foot - 6/20/18 Patton is recovering from multiple foot surgeries and will miss an extended period of game action. Rudy Gay SF Ques Wed - Heel - 10/13/18 Gay was sidelined for the last preseason game with a heel injury and his status for the season opener against the Timberwolves is in question. Derrick White PG Mid Dec - Heel - 10/12/18 White is sidelined with a left heel injury and is expected to be held out of the lineup for six-to-eight weeks. Lonnie Walker IV SG Early Dec - Knee - 10/7/18 Walker IV tore the meniscus in his right knee and is expected to need six-to-eight weeks to recover.